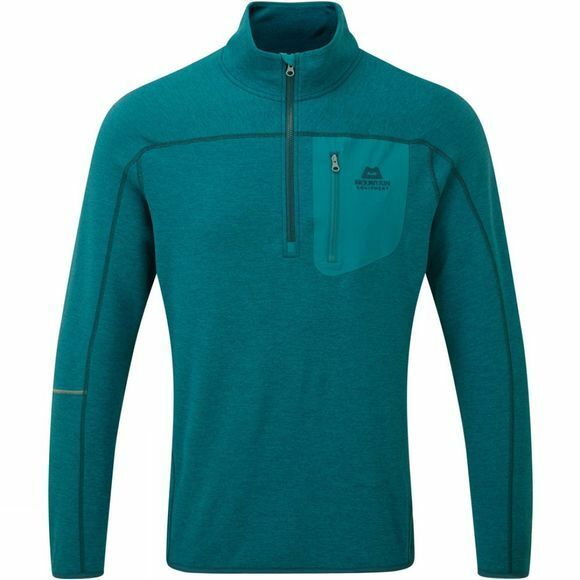 The Men's Inegrity Zip Top from Mountain Equipment is a close fitting, low bulk half zip top for climbing and trekking use. Delta® fabric moves moisture rapidly to make it ideal for strenuous climbing use. Next-to-skin comfort is delivered through coverstitched seams throughout. A short neck zip gives added ventilation when the sun hits the final pitches.